ST. PETERSBURG, Fla. -- Minor League Baseball™ (MiLB™), in partnership with BUSH'S® Beans, announced today that 11 Minor League Baseball teams will provide a donation to a charitable organization of their choice as part of #GivingTuesday, a movement that celebrates and supports giving and philanthropic events at the start of the holiday season, on Tuesday, Nov. 27. Since its inaugural year in 2012, Giving Tuesday has been a global day of giving fueled by the power of social media and collaboration. Celebrated on the Tuesday following Thanksgiving and the popular shopping holidays Black Friday and Cyber Monday, the event kicks off the giving season each year by inspiring people to give back. This summer, players in select leagues were awarded the BUSH'S Most Valuable Player Award following their leagues' All-Star Games. In addition to the award, BUSH'S Beans and each team of an MVP Award recipient will make a monetary donation to a charitable organization chosen by the team. 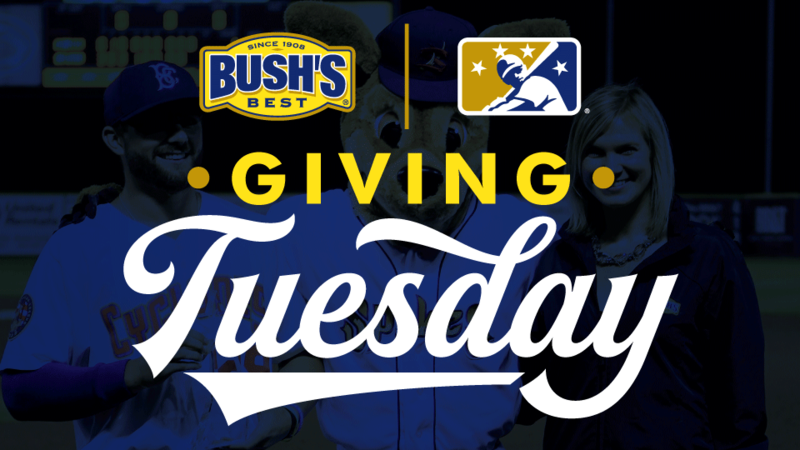 "We are fortunate to work in an industry that provides us many opportunities to give back to our communities, and Minor League Baseball is honored to team up with our partner BUSH'S Beans to help those who need assistance this holiday season," said David Wright, Chief Marketing and Commercial Officer for Minor League Baseball. "It is truly inspiring to see how MiLB clubs and their local communities support each other," said Mike Morris, Senior Brand Manager at Bush Brothers & Company. "We are proud to recognize the contributions of each BUSH'S All-Star MVP Award winner by joining with his team to contribute to a local charity." Click here to learn more about the long-term partnership Minor League Baseball and BUSH'S Beans, the "Official Beans of Minor League Baseball," cooked up in 2016. BUSH'S® is all about friends & family, and a certain Secret Family Recipe. When you enjoy our beans (doesn't matter if they're Baked Beans, Chili Beans, Black Beans, Pinto Beans…well, you get the picture), you can trust that they're the very best. Because we wouldn't serve your family anything less. Since we got our start 110 years ago in Chestnut Hill, Tenn., BUSH'S® has always maintained that quality is the best policy. We pursue excellence and exceptional taste in our beans, sauces and everything we do. That's why, from mouthwatering Baked Beans & Chili Beans to satisfying bean recipes, you're cooking up the best with BUSH'S BEST®. For more information, visit www.bushbeans.com, like us on Facebookor follow BUSH'S® Beans on Instagramand Twitter.